Google Docs is a common option for those looking for a web-based office suite alternative to Microsoft Office. One of advantages of a cloud-based app like Google Docs is that we can work from anywhere without having to stick on a single device. It also enable us to work collaboratively from remote location. 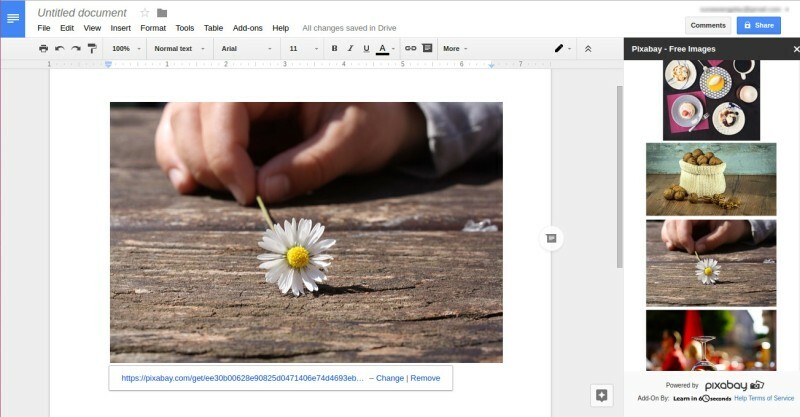 When creating a new document on Google Docs you may want to insert images to strengthen your thoughts. Let me tell you. You don’t have to open a new tab in your browser for Google Image. By adding an add-on from Pixabay you can effortlessly insert free royalty free images from the Pixabay site. In case you didn’t know. Pixabay is a great resource to discover free royalty free images. You can use all images in Pixabay for any purpose without any requirement to mention the attribute of the images you are using. Even if you want to use those images for a commercial use. And, the service just announced that it has launched a Google Docs add-on to ease anyone in inserting images from Pixabay. The add-on opens as a sidebar panel and lets you search CC0 licensed images from Pixabay directly in Google Docs. With a single click you can embed any of these images right at the current cursor position in your document. The add-on is free, of course – and all images are free of copyrights under Creative Commons CC0. The add-on was developed by Learn in 60 seconds in close cooperation with Pixabay. Here’s how to install and use the add-on. Type “pixabay” on the search bar and hit enter. 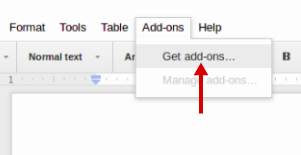 Click the FREE button to add Pixabay add-on to Google Docs. To start inserting images, go to Add-ons –> Pixabay Free Images –> Image Search. You will have a new side bar at the right side. Just type a keyword of the images you want to insert on the search bar and click on an image to insert it.